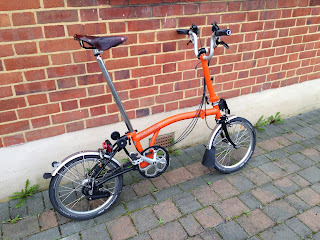 My Orange Brompton: Making my Orange Brompton even more Orange!! 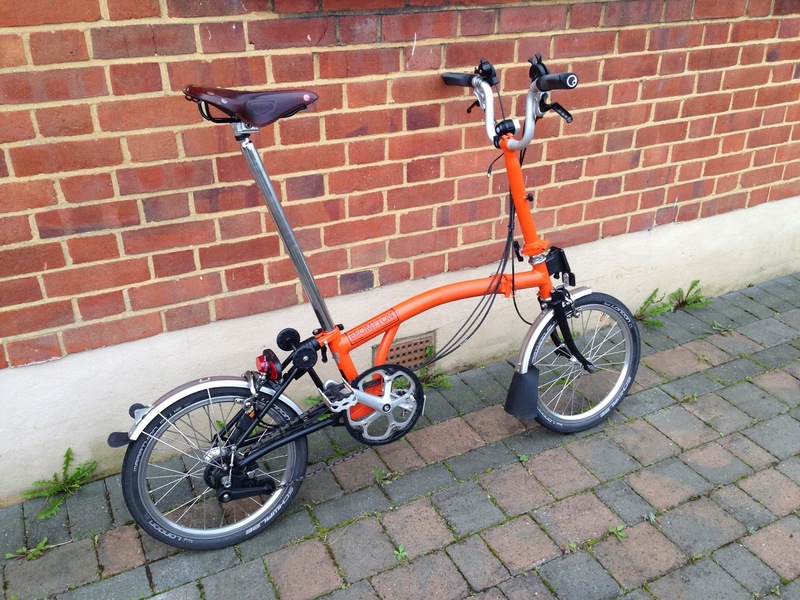 The Original Orange Brompton made more Orange! 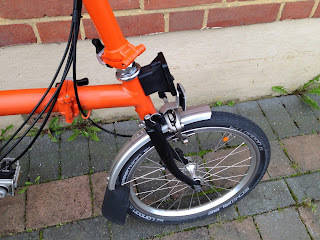 I took the black stem off, carefully removed the cables and put the orange stem on. 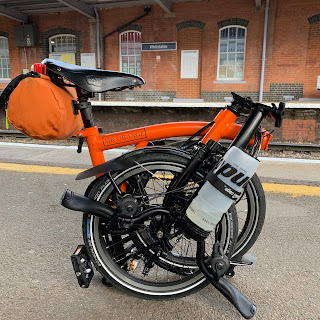 I think it looks rather good and although this is the only change, it somehow feels a different bike with a new lease of life? This is all psychologically perhaps but to my eyes it looks stunning. I was toying with this idea for some time (long before the Titanium one came on the scene) but couldn't really justify it. 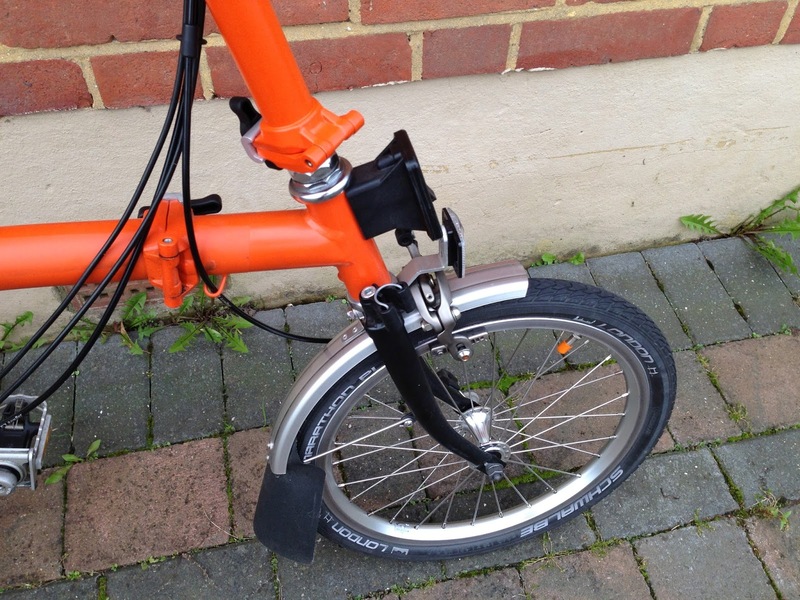 I now of course have a spare black M type stem. I am not really sure what to do with it? I suppose I could sell it but I'm not sure yet. 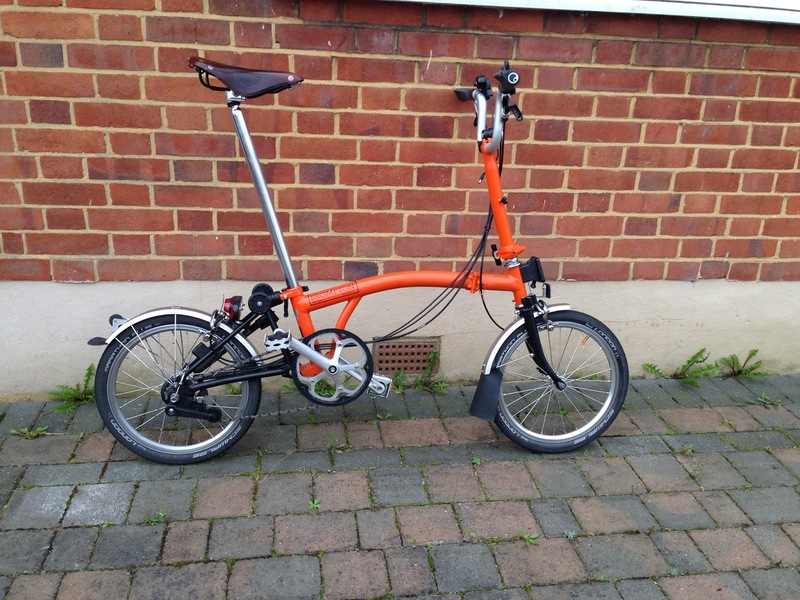 Of course another plus point is that it must be quite a unique Brompton in terms of its colour configuration. 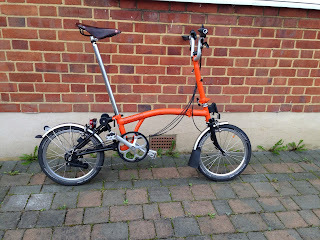 It was Orange with Black extremities and now it is even more bespoke to my orange taste.